Living in the homeland of Nokia has meant to us adopting the use of mobile phones very early. Nowadays the coverage is about 110% of the population since many people have more than one mobile. Actually there are lots of households which don't have a landline any more. The phone cables are used for the internet connections like in our household. The first network was NMT, Nordic Mobile Telephone, which was used in Finland 1982-2002. It's successor GSM (Global System for Mobile communications) started in 1991. It is a 2G network and both signalling and speech channels are digital. I was not very convinced about the need of a mobile and at first I took in use the phones that were left over from my husband or my son, when they wanted new and better models. My first one Siemens NT 910 was really big, weighed 900 g and I could easily have used it as a weapon to defend myself. 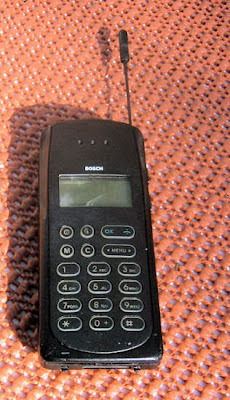 My husband had bought it used around 1994 and it had been a leasing phone in some company, because those days phones were too expensive for regular individuals. The next one Bosch M-COM 214 was bought new in 1995 and I got it again after my husband deserted it. It had an extendible antenna and it worked on the GSM 900 network. The funny thing was that I could receive text messages with this one, but I was unable to send any. 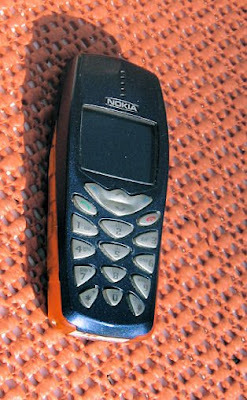 My first Nokia was the popular 5110 (1998), which I bought from my son. This one still had the external antenna, but now I did not have to extend it any more. 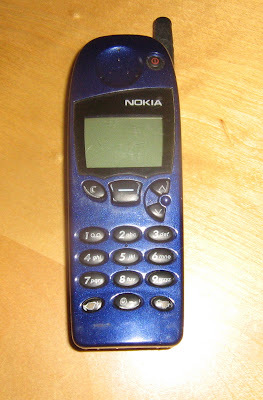 The next one, Nokia 3210 from 1999, was a Dual-band phone working in both GSM 900 and GSM 1800 networks. It had a built-in antenna. I think this one I got from my daughter but I changed the covers. 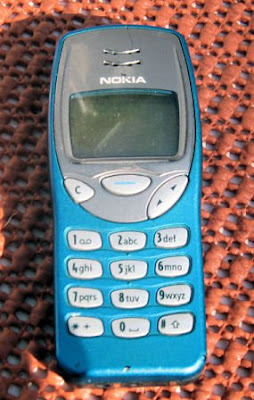 Nokia 3510i (2002) was the first one I bought new to myself. This was also the first one with a colour screen. 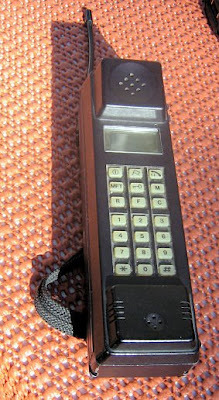 By this time the weight of the phone had dropped to 1/6 of the first Siemens. I think this is the only one of my phones which actually stopped working. All the others were replaced mainly because some family member had to get rid of the old one and my still older one would have needed a new battery. When the phone stopped working I bought a new one and wanted just a basic phone with no extra features. I wanted it for talking, not listening to music or playing games. The previous had the possibility to use MMS services but I never did use them. 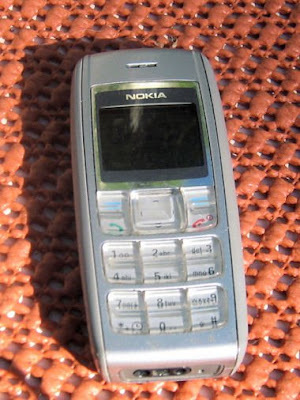 I bought Nokia 1600 (2006), which according to Wikipedia was originally released for developing countries. I still use this one. My current mobile has a secret number and it is open all the time. This phone has a prepaid connection and I can choose whenever I am available. 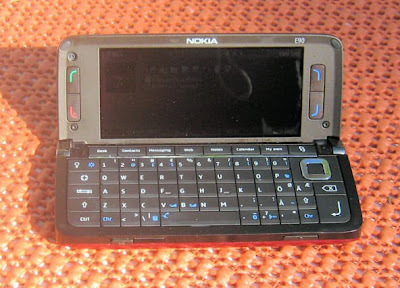 Last year I decided that I need a MMS phone but since I am not very fond of text messaging, even though Nokia has a very good predictive text system, I wanted a Qwerty-keyboard and my choice was E90 communicator. It was expensive, but it is basically like a small laptop. It uses 3G connection when available and I can use my WLAN at home. I have been faithful to Nokia but my husband hasn't. Here is part of his history, but he has changed phones so often that he has sold the old ones on Huutonetti, our equivalent of eBay. 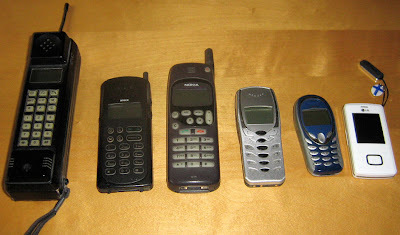 There is one old phone I never used, Nokia 1610 and his two current ones Siemens A50 and LG KG800, the "chocolate" phone. Mobiles create a big environmental problem, but I still haven't got rid of my phones. Maybe I am just transferring the problem to my children, but also these may become collectible items someday.